At their inaugural edition, 700 guests met at the Museum of Biodiversity and settled along the Panama Canal. This year, the hosting team of Le Dîner en Blanc – Panama has a mission to create an even more magical and unique experience! To do so, they are investing heart and soul. They recently held a press conference to introduce their partners and give you a glimpse of what is waiting for the guests on April 6th! Sign-up to the waiting list at panama.dinerenblanc.com/register. 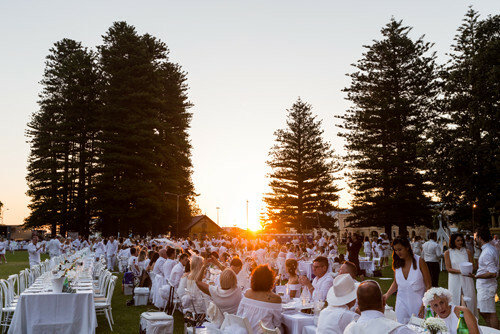 It is no secret that Australia is crazy for Le Dîner en Blanc, and Perth is no exception! Since the first edition, its residents have answered the invitation with enthusiasm. Nearly 2,000 guests gathered last year at the Esplanade Reserve Fremantle, a beautiful natural park. This year, Le Dîner en Blanc – Perth is coming back with a new hosting team ready to take up the challenge of Le Dîner en Blanc and continue the tradition. Sign-up to the waiting list at perth.dinerenblanc.com/register. 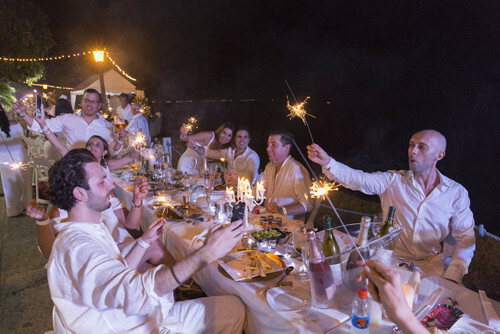 There are no doubts that the 3rd edition of Le Dîner en Blanc – Puerto Rico will be very special this year. Still in recovery-mode from the devastating aftermath of Hurricane Maria, it seems like an event such as Le Dîner en Blanc (which is all about friendship, sharing and being proud of the city you live in) is all that is required. The hosting team is working tirelessly to create an event that will celebrate the spirit and courage of Puerto Ricans. Some wonderful videos have been produced to give you a behind-the-scenes look at the menu, and event preparation like the one by photographer Edgar Bertran. Sign-up to the waiting list at puertorico.dinerenblanc.com/register. 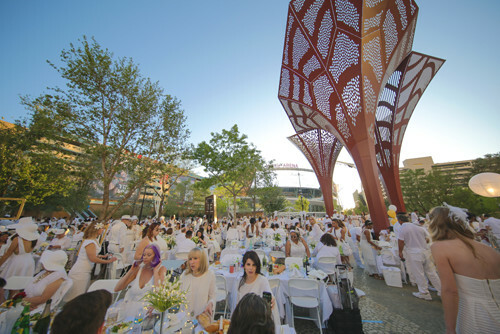 April 29 – Las Vegas will get its Dîner en Blanc! Following the tragic events of last October, Le Dîner en Blanc – Las Vegas postponed their event. Now, the moment we’ve all been waiting for is here! In a city packed with events and experiences, Le Dîner en Blanc adds to the offer with its concept based on celebrating friendship, community spirit and sharing. So, rendez-vous on the 29th for a magical night! Sign-up to the waiting list at lasvegas.dinerenblanc.com/register.